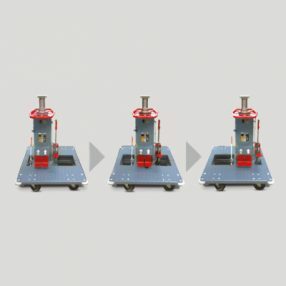 Hydraulic-pneumatic quick lift Enables the pistons to move rapidly up to the pick-up point. 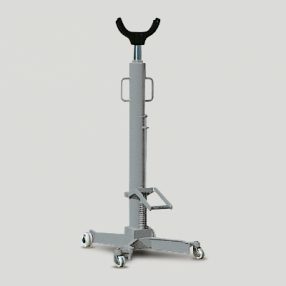 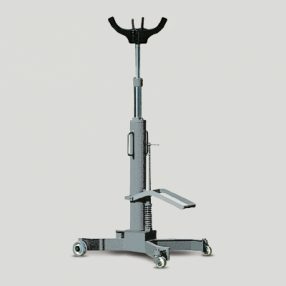 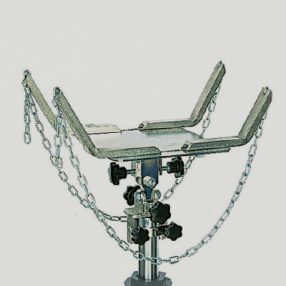 Variable pedal-operated precision lift For fine adjustment of the pit jack on the vehicle – important for sensitive lifting as well as when installing engines etc. 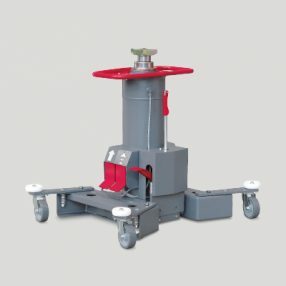 Hydraulic-pneumatic automatic return enables the piston to return quickly with or without load. 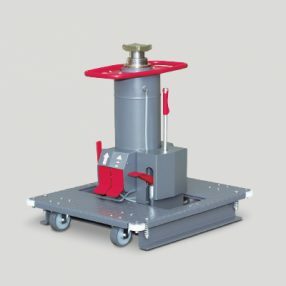 In contrast to conventional types of pit jacks, the piston is, in effect, “pulled” back to its default position. 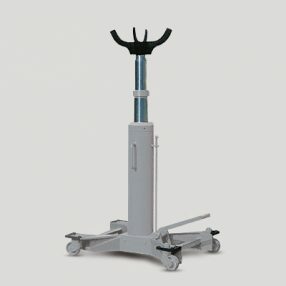 The needle roller bearings on the carriage rollers allow effortless sliding of the lift. 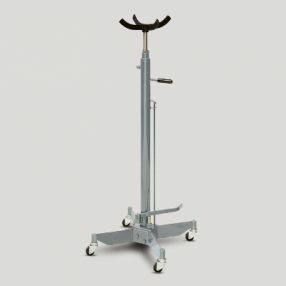 All carriages are automatically lowered from a load of 800 kg. 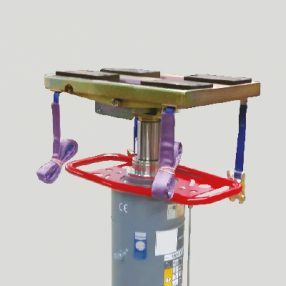 Rust protection system Fully hydraulic lifting unit – with each lifting and lowering movement, the cylinder is immersed in oil on both sides of the sleeve. 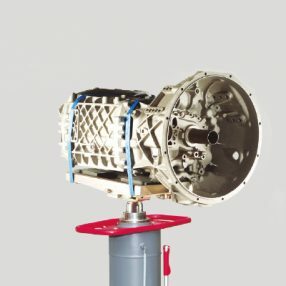 The piston as well as the cylinder is thus always completely immersed in oil. 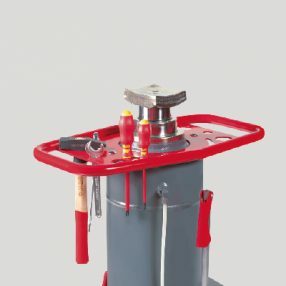 This means: no rust on the cylinder wall!